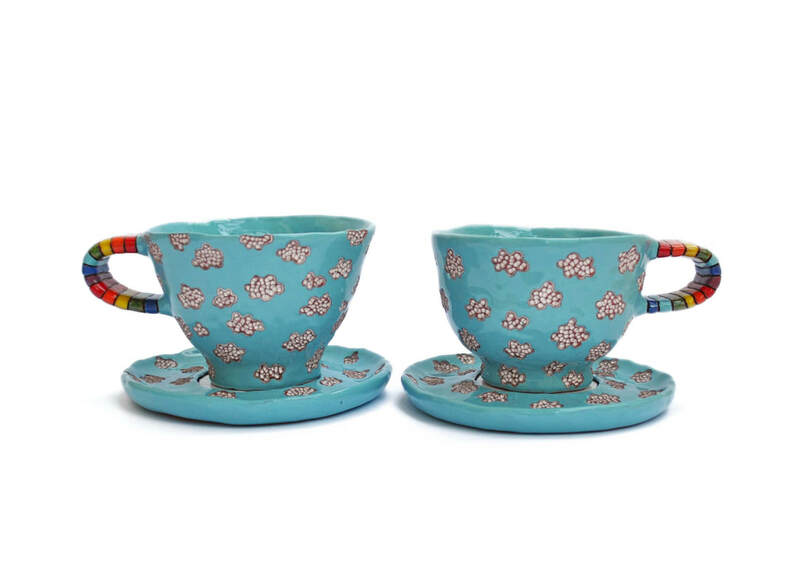 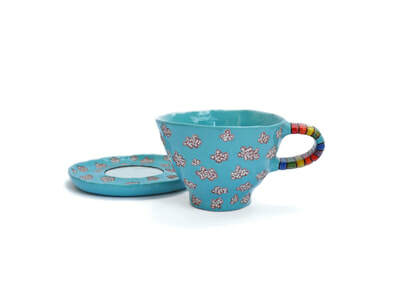 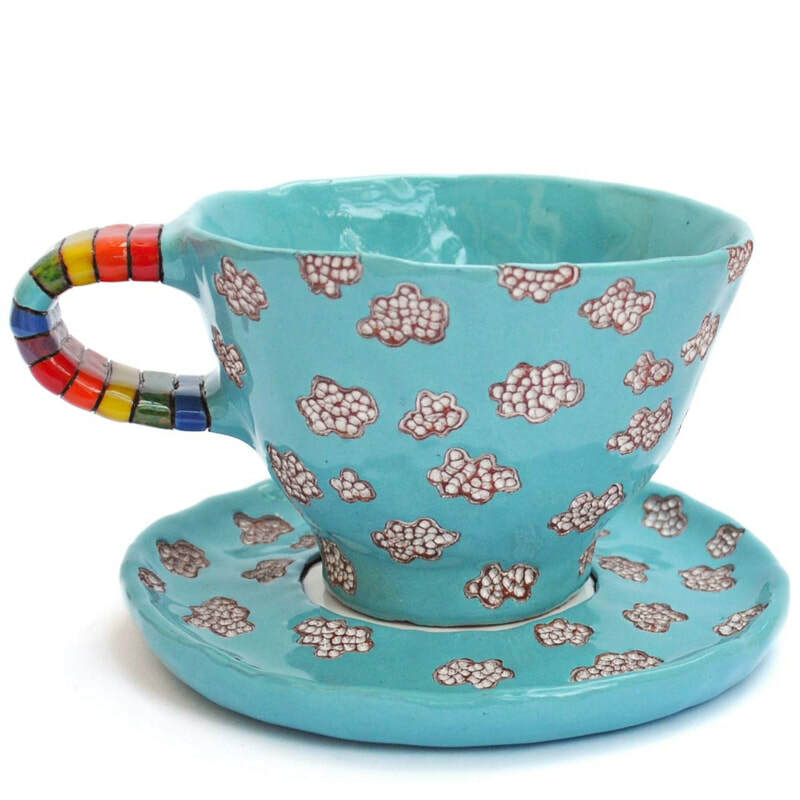 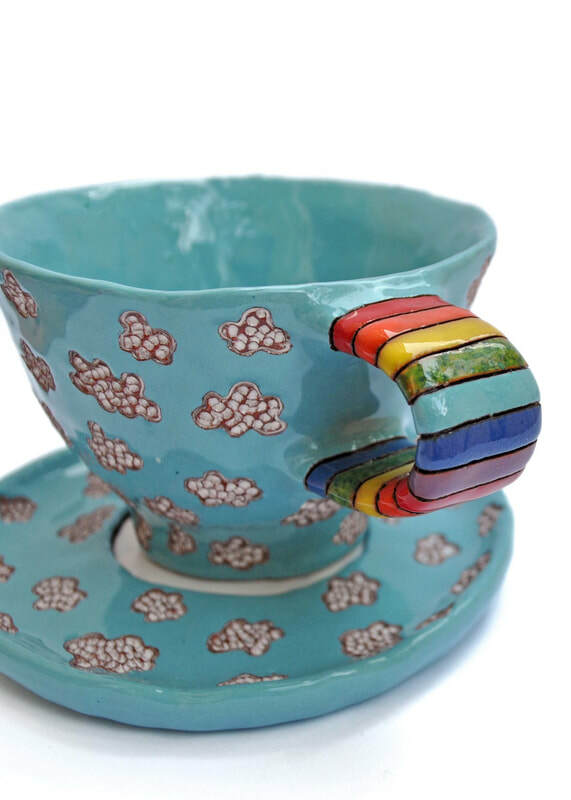 Medium sized cappuccino sets (a cup and a plate) in clouds and rainbows pattern is a result of scrupulous handmade process. 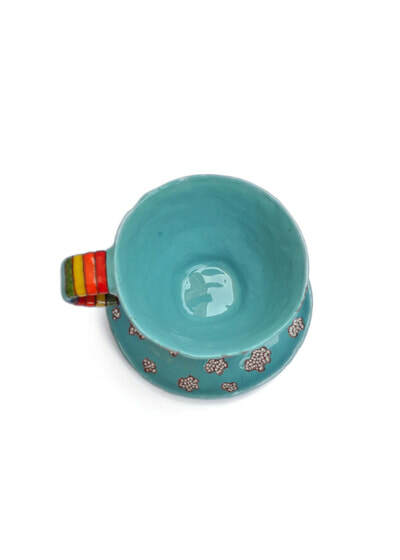 Cup is approximately 8-9 cm (3.1-3.5 inches) tall. Each set is purely handsculpted so the size and shape of an individual set slightly vary.